1993 Ph.D. in Counseling Psychology. Texas Tech University (APA approved). 1986 M.A. in Clinical Psychology. Trinity University, San Antonio, Texas. 1981 B.A. in Psychology. The University of Texas at Austin. 8/2001- Present: Private Practice, Kenneth C. Frontman, Ph.D., PC, Practice specializing in marriage and family therapy, treating anxiety and depression, personality/interpersonal issues, substance abuse/recovery, and AD/HD-related problems. Provide individual, group, and marriage/family therapy. Substance abuse and persomality assessment; screenings for ADHD. • Provide individual, group, and couple’s counseling. • Supervisor for practicum students and predoctoral interns. • Pre-doctoral Internship Trainer: Specializing in short term psychodynamic & system-oriented therapy, group therapies, and substance abuse assessment & treatment, Career counseling. • 24 hour crisis counseling. • Workshops and Presentations to GTCC Staff & Practicum Students and Campus Community. • Consultation with GT faculty and parents. 10/93-9/94 Dallas Veterans Administration Medical Center Chemical Addiction Program, Postdoctoral Psychology Fellow. Responsibilities include conducting inpatient individual and group psychotherapy, individual psychotherapy with outpatients, psychological evaluation of adults, neuropsychological evaluation of adults, designing chemical addiction treatment plans, teaching psycho-educational classes, couples therapy for inpatients and outpatients, and attending training seminars. 1991-92 Dallas Child Guidance Clinic, (now called Dallas Child and Family Guidance Clinic) APA approved Pre-doctoral Psychology Internship. Internship responsibilities included psychological evaluation of children, adolescents, and adults. Psychotherapy with children, adolescents, parents, and families. Weekly training seminars in child development, family therapy, child therapy, and child assessment. Internship. Completed 100-hour rotation over three months. Responsibilities included facilitating group therapy and conducting mental status exams. 1/93-10/93 Dallas Independent School District, Associate School Psychologist. Responsibilities included personality and intellectual evaluation of students, designing individualized educational plans and behavior management plans, counseling for students and parents, determination of eligibility for Special Education services, crisis intervention, and conducting ARD meetings. 1/89-6/91 Texas Tech Counseling Center, Counselor and Learning and Language Disability Evaluator (half-time position). Conducted comprehensive assessment to diagnose language and learning disabilities; counseling and assistance to address the needs of learning disabled students. Provided career interest testing and career counseling. Provided short-term counseling for couples and individuals. 5/88-12/89 Lubbock County Adult Probation, Vocational Counselor (half-time position). Provided vocational counseling and job placement assistance. Facilitated vocational skills group. 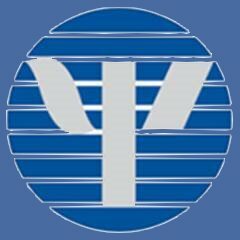 Psychological evaluation of probationers utilizing personality testing, vocational interest testing, and intellectual testing. 8/86-8/87 Jewish Family Services of San Antonio, Psychotherapist. Provided individual, marital, and family therapy. Facilitated group therapy focusing on interpersonal relationships. Co-facilitated cancer support group. 6/85-8/86 Bexar County Women’s Center, Counselor. Provided counseling for individuals and couples. Co-facilitated group therapy. Provided crisis counseling. 6/88-5/91 Texas Tech Psychology Clinic, Clinical Practicum. Conducted individual, marital, and family therapy at university clinic that served Lubbock County and surrounding areas. Facilitated group therapy for men involved in physically abusive relationships. Psychological evaluation of children, adolescents, and adults. Summer, 89 Provided short-term individual counseling for University students, including career-interest assessment and career counseling. Couples and family counseling for university students and staff. Summer 90 Provided brief therapy for couples and families using team therapy model. Conducted therapy while receiving live supervision. 1/87-6/87 Community Counseling Service, Clinical Externship. Conducted family therapy at university sponsored clinic. Team family therapy model used in which team members observed session by one-way mirror. 1/85-5/85 Trinity University Counseling Center, Clinical Practicum. Provided individual counseling for Trinity University students. Conducted personality and career-interest testing. 8/84-12/84 Medical Center Hospital of San Antonio, Clinical Practicum. Administered psychological test batteries for psychiatric inpatients. 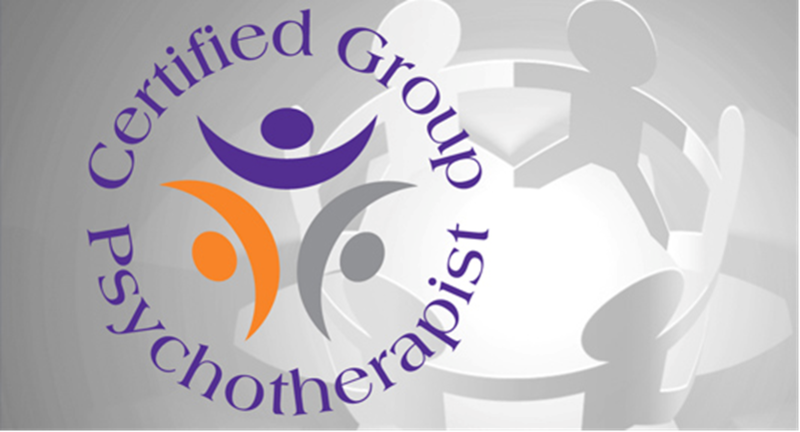 Co-facilitated inpatient group therapy. 1979 Brown Schools (Residential Treatment Center in San Marcos, Texas). Prior to completion of undergraduate studies, worked as a mental health worker for emotionally disturbed children. 1987-1990 Texas Tech University Department of Psychology, Instructor. Instructor for undergraduate courses in Personality Theory and General Psychology on a part-time basis each semester. 1998-Present Georgia Tech Wellness Center, Prime for Life Instructor. Teach eight-hour psychoeducational course for GT students on substance abuse each semester. Licensing Candidate toward becoming Licensed Practitioner of System’s-Centered Therapy. Fifteen years of rigorous training in System’s Centered Therapy (see www.systemscentered.com for more information on this model) consisting of monthly five-hour trainings with Susan Gantt, Ph.D., APBB, CGP, as well as one-week of group trainings twice per year with Yvonne Agazarian, Ed.D., FAGPA for five years, and monthly licensing consultations. Completed All Workshops for EMDR Certification. Public Relations Coordinator, 2005, 2006, & 2007 SCTRI International Conference, Decatur, Georgia and Boston, MA., Public Relations Co-Coordinator 2008 & 2009 SCTRI International Conference, San Francisco, CA. Jorgenson, R. & Frontman, K. (April, 2012). Working with couples: Comparing Emotionally-Focused Therapy (EFT) and Systems-Centered theoretical and clinical approaches, Systems-Centered Training & Research Institute Annual Conference, San Francisco, CA. Frontman, K (March, 2012). Invited Workshop Panel Moderator. Third annual national collegiate recovery conference. Kennesaw State University: Kennesaw, Georgia. Frontman, K.C. (January, 2011). Panel Discussant, Bullying: a community response. Sponsored by the Anti-Defamation League and Jewish Family & Career Services. Sandy Springs, GA.
Frontman, K.C. (October, 2010). Systems-Oriented marriage therapy. Presented at the NW Chapter of Georiga Association for Marraige and Family Therapy, Sandy Springs, GA.
Frontman, K.C. & Silverstein, M. (Summer, 2010) A System’s-Centered perspective on 12-Step recovery & relapse prevention, System’s Centered News, 18 (1),11. Frontman, K C (June 2010) A Systems-Centered perspective on Murphy’s Law, System’s-Centered News, 18 (1), 9. Frontman, K.C. & Silverstein, M. (April, 2010) A System’s-Centered perspective on 12-Step recovery process & relapse prevention, The System’s Centered Training & Research Institute International Conference, Philadelphia, PA.
Danitiz, E., Frontman, K., Luther, J., Snipes, N. (Fall, 2009,) Couples treatment. System’s-Centered News, 17(1), 9-10. Frontman, K.C. (October, 2003). An introduction to using system’s-oriented therapy in marriage and family therapy. Presentation at the NW Chapter of the Georgia Association for Marriage and Family Therapy, Roswell, Georgia. Griffin, J.P., Tims-Cook, Z., Frontman, K. C., Love, K., Washington, C., & Yancey, E. (November, 2002). Using Multidimensional Scaling and Concept Mapping as Tools for Understanding What is Helpful for Violence Prevention from the Middle School Student’s Point of View. Paper presented at the meeting of the American Public Health Association, Philadelphia, Pennsylvania. Taber, L., Frontman, K., Luther, J., Byram, C., and Kis, G. (Summer, 2002). Thinking SCT with families, System’s Centered News, 10(2), 8-9. Frontman, K.C. (1996, May). Counselor development: Research, practice and personal perspectives. Presentation at the Department of Counseling and Counseling Psychology, Auburn University, Auburn, Alabama. Frontman, K. C. & Kunkel, M. A. (1994). A grounded theory of counselors’ construal of success in the initial session. Journal of Counseling Psychology, 41(4), 492-499. Frontman, K. C. & Kunkel, M. A. (1992, August). Counselors’ experience of success in the initial session: An integrative analysis. Paper presented at the meeting of the American Psychological Association, Washington, D. C.
Frontman, K. C. & Kunkel, M. A. (1991, January). Counselors’ experience of success in the initial session: epistemic style, counselor development, and attribution of success. Paper presented at the meeting of the Texas Association for Marital and Family Therapy, Dallas, TX. Copes Committee Member & Psychology Representative, Advisory Council on Addiction & Substance Abuse, Jewish Family & Career Services (2012-Present). Frontman, K.C. (January, 2011). Invited Abstract Reviewer, 2011 AAMFT Conference, Fort Worth, TX. Frontman, K.C. (January, 2008). Invited Abstract Reviewer, 2008 AAMFT Conference, Memphis, TN.